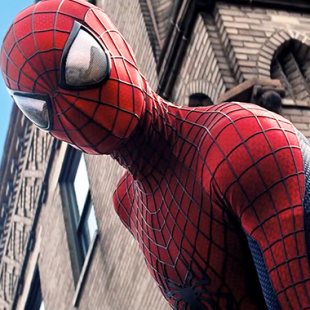 Sony Pictures has a problem, and its name is Spider-Man. Amusingly, you could reverse the placement of names there and it would make the same sense. Things are not going great for the ongoing partnership of one of the biggest media companies on the planet and a similarly supersized superhero. That can be a hard thing to wrap one's head around, when there are numbers like "$91 million first weekend!" being thrown around; but that is the movie business, where accounting is designed to make sure that the only success that registers is mega-success - and that's a number they keep redefining upwards. Because the first Amazing Spider-Man reboot feature opened on a Wednesday because of the 4th of July holiday, Sony opted to downplay box-office comparisons between it and the sequel, which was opening on a normal Friday and thus wouldn't be a "fair" measure. Instead, they set their sights (in the press) on Captain America: The Winter Soldier's impressive $95 million haul from a few weeks ago (doubly impressive, since the first Captain America film only opened in the mid-$60s) ... and were found wanting. Apart from the occasional animated hit (less so, now that the Ice Age series has concluded) and the infrequently produced James Bond movies, Spider-Man is at this point the backbone of Sony's entire feature film business. And while said backbone is by no means broken... it's not in the shape to carry an entire studio. $91 million in a weekend is nothing to sneeze at, but it's also not a reason to break out the champagne this time. While part of the original reboot "edict" was to make Spider-Man movies less expensive, that went out the window for this sequel: Sony is said to have spent over $200 million on TASM2 (before marketing, and either way it's a lowball estimate) and some analysts project that it will have to earn $800 million worldwide just to start turning a profit ... and at this point it's not looking good for the film to even equal the $750 million final take of its (much less expensive) predecessor. That means a "downward trend," and studio investor's hate downward trends. Almost as much as they hate widely disseminated news stories about the film's production having been a sloppy, haphazard mess (again) or the prospect of headlines about getting bounced from the top box-office spot by a Seth Rogen comedy, or having one of the most popular/respected new-wave movie commentators on the web eviscerate your movie and convincingly postulate that your problems stem from the creepy hang-ups of one of the guys you hired to write it. What's more, while most studios making movies like this tend to be content with "only" breaking-even on ticket sales if it means keeping the brand fresh for merchandising, Sony doesn't have that luxury: In order to keep total control of the Spider-Man movie franchise, they agreed to sell all of the characters merchandising rights back to Marvel/Disney. So no matter how well these movies do, the ticket and DVD sales are the only money Sony sees from them. Everything else - every doll, every toy, every knick-knack, every Halloween costume, every Happy Meal based on this film... that all goes to The Mouse. Oh yeah, and Andrew Garfield is already saying he's out after Part 3 when his contract is up; which either means another new actor or an expensive renegotiation. And the studio is still planning on having either a new Spidey sequel or spin-off coming out at a pace of one per year. In other words: This isn't working. The reviews are getting worse. The audience is getting visibly franchise-fatigued (while other franchises are, improbably, expanding) and diminishing returns are being treated like a forgone conclusion. 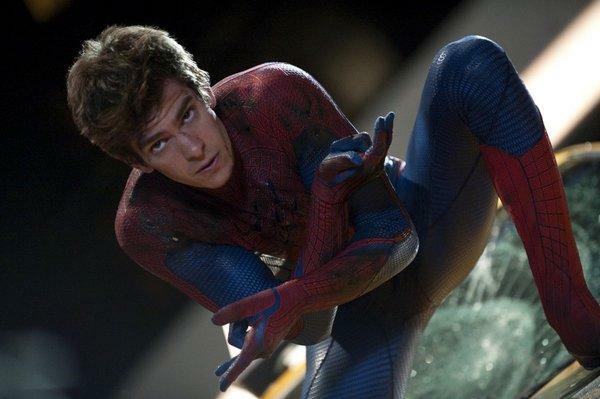 Amazing Spider-Man 3 and Alex Kurtzman's Venom spinoff are still likely to happen, but beyond that? Something has to change. And while some fans are openly rooting for Sony's "Spiderverse" to fail in order to trigger an unlikely scenario where Marvel Studios would "reclaim" the character... it's not like they wouldn't need to shelve him and let the dust settle for a few years before reviving him anyway. Instead, allow me to humbly offer a few suggestions that might lead to a less... "apocalyptic" scenario.